The Buildings and Grounds Committee is responsible for overseeing the maintenance and upkeep of the parish facilities. 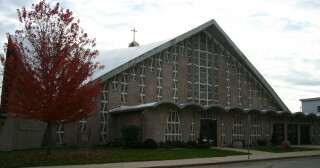 There are regular meetings and the committee advises the parish maintenance department to ensure that the buildings and grounds are kept in proper condition and good repair. The Endowment Committee monitors the financial condition of the Endowment Fund. A knowledge of investments is preferred. The Finance Council, along with the Stewardship Committee, monitors the financial condition of the parish. The council reviews the Parish Annual Budget and works with the administration in preparation of the financial reports submitted to the parishioners and the Archdiocese. The Pastoral Council gives life and mission to the parish community. The Pastoral Council is composed of selected parishioners through a discernment process. The primary responsibility of the Council is to guide the direction of the parish through spiritual leadership, engaging in pastoral planning and by making policies in accordance with the parish mission. The council also reviews and approves the annual operating budget. Pastoral Council members are parishioners who are willing to take the time and share of themselves for the good of the parish. On-call substitutes are needed to answer the Parish Office phone. Hours of service vary depending on need. The concept of stewardship applies to our time, talent and treasure. St. Rita depends upon hundreds of volunteers to fulfill its mission. Parish members are provided a talent commitment form. Each parishioner is asked to make a commitment to St. Rita Parish of the talent God has given them. This is in addition to monetary contributions to the parish. The Stewardship Committee is a sub-committee of the Pastoral Council. This committee registers and acquaints new parishioners with the St. Rita committees and activities. The committee offers its caring presence to new members as a welcoming ministry. Registration is available on a regular basis in church after Masses.